Part 1: How Does Depression Cause Weight Loss? You are bound to lose weight if you are diagnosed with a serious disease. For most major health problems, there are one or more symptoms that have developed before you start lose weight. Hence, the weight loss due to these ailments can often be explained and more importantly understood. Depression, however, is a completely different issue altogether. The episodes of depression and weight loss or depression and subsequent weight changes, vary significantly from person to person; some people lose weight whilst others end up gaining more weight. As a precaution, if you feel you've lost weight and have no idea of the reason, go see a doctor. It is better to have tests conducted and have an expert opinion to understand the cause. TCAs (Tricyclic type of antidepressants): these are known to increase the appetite of a patient thus lead to weight gain. SSRIs (Selective Serotonin Reuptake Inhibitors): these may contribute to weight loss, as they lead to energy sapping side effects. The side effects associated are diarrhea, restlessness, nervousness and insomnia. However, these assumptions though widely held, have not been fully proven scientifically. Look at the relationship between food and your mood. Have a close look at how and when you use food. Explore how you feel about your weight. Food should not be a way out of depression, neither should food be ignored. Learn to look at food as a source of nutrition., and food should not be turned into an outlet of depression. Learn to take it slow. Whilst depressed, it is natural to feel overwhelmed. It is amidst these circumstances that having small, attainable, weight-management goals are important. Go for small targets like, eliminating sugary drinks one week. Move on to removing fried food the next. Get off the couch and get moving. The metabolic rate of the body will change during your depression. When you start sitting in front of the TV or computer more often, your metabolic rate will drop. Every little bit of exercise will help, so start moving and get yourself out of a rut. Increase physical activity gradually. During depression, the energy levels one has can be drastically reduced. It is advised to start slowly and then increase your efforts. Stretch out for a few days, and then start walking around. These small steps will make you feel in control. Motivations levels will gradually raise and you start to increase your efforts. This will lead to a more positive outlook on life. Mind the side effects of the medications. Ask your doctor about the side effects of your medication with regards to your weight-management efforts. Most depression medications have an effect on your weight. You have to clearly communicate your weight management priorities to your doctor. This will help your doctor to adjust or add medications that counteract the weight changing effects. Get a consultation from a registered dietician. 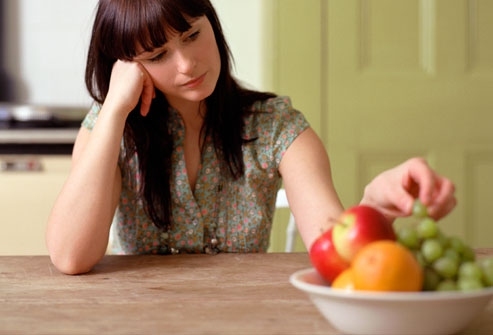 If you feel that your depression and weight changes are significant, you need to consult a dietician. Try to find a dietician in your area if you can’t then there’s always the web. You can also access the Academy of Nutrition and Dietetics for help and consultation. Whilst making these changes, always remember to have a positive attitude. Weight management is an issue for all, regardless of depression or not. Hence, having a positive attitude helps immensely both in managing weight and relieving depression. Staying focused and regularly communicating with your doctor will help you reach an ideal weight. The reason why depression and weight loss can be talked together is that depression can lead to eating disorders; conversely, eating disorders can also lead to depression. If you are severely malnourished and underweight, that can cause physiological changes. These changes are known to affect your mood negatively, causing you to lose your appetite, hence lose weight. Those who develop eating disorders, tend to suffer from low self-esteem, which can lead to an obsession with perfectionism. Their unhealthy eating habits due to underlying anxiety and depression, lead them to lose or gain weight. Also, emotional trauma often leads to eating disorders. Emotional eating disorders aren't always weight loss related. They can very easily make you gain weight depending on your personality. Binge eating disorders are often related to obesity or overweight. The consequential gain in weight make people feel disgusted with their bodies, which in turn causes an increase in depression, thus more binge eating. Diagnosing depression is not difficult, according to most experts. The problem lies in finding effective treatment, for a combination of eating disorders and depression. Server responsed at: 04/22/2019 1:02 a.m.